Now that Black Friday is behind us, I want to turn the focus back on creating a curated or capsule wardrobe. Getting more thought through items to wear. Next month we’ll already be entering winter. And honestly I’ve been feeling it In the weather. It’s getting so much colder. The wind is icier — which I actually kind of like, it feels fresh. However, it also means that I need different items to wear. Below I’ve rounded up the 7 winter investment pieces I would buy right now if I didn’t have them. All things cozy and warm! Make the best impression at work with a power suit after the holidays. Why just go for a neutral? Put a little fun back into your curated wardrobe by going for a bold, winter print. 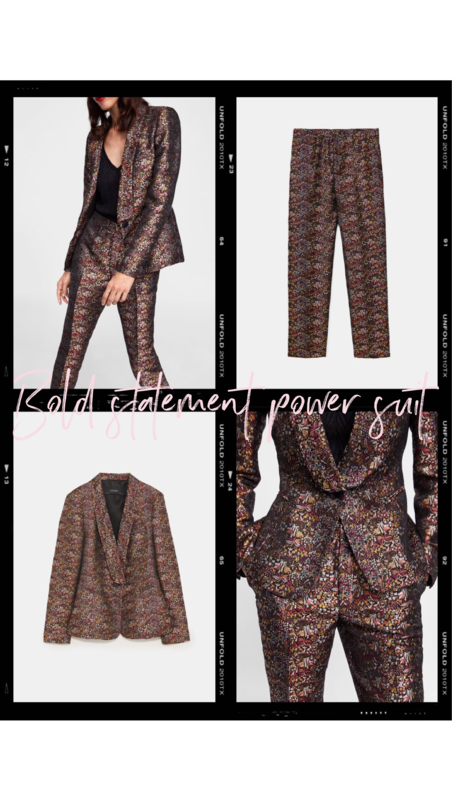 You can get the Zara blazer here and the trousers here. 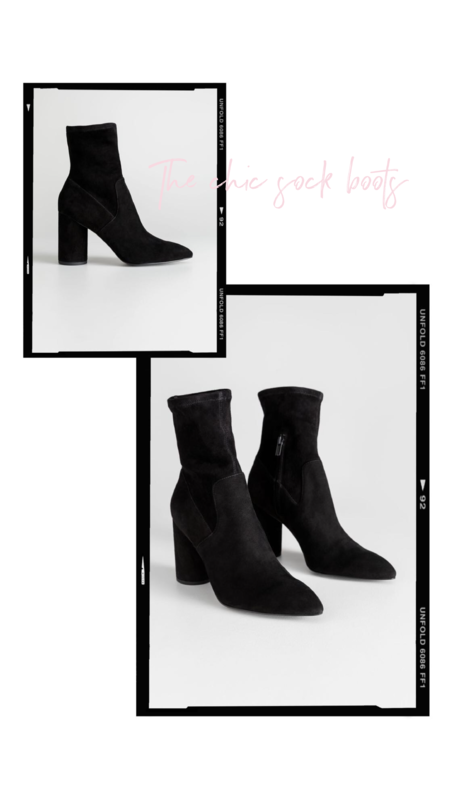 The winter investment pieces I live for: winter boots! I love a good boot and I’m also very picky when it comes to the heels and fabrics. Either I need a low heel like my Chloé booties or a high heel. Everything in-between is a no go for me. Right now I have my eyes on these & Other Stories sock boots*. I’ve never been into sock boots because they usually look like you’re wearing socks with heels attached to them. However, this pair looks chic and is made of suede. If you want to have a little more coverage in the leg department, a knee high boot is the way to go. Super cute with skirts or dark skinny jeans. Yet again, & Other Stories delivers the perfect winter boots*. THE item you can’t go wrong with this winter is a cozy knit. It will come as no surprise that it’s on this winter investment pieces list. I’m loving the selection at & Other Stories at the moment. I bought this sweater* last year, it was one of my favorites but I washed it on the wrong cycle, resulting in a super small childsize sweater. I still want to get a new one because it’s the best cozy sweater that isn’t too bulky. Last week I rounded up my favorite fall coats — if you haven’t seen it, I would love it if you check it out! — including my favorite fall wintery coat: the leopard fur coat I got at Mango. 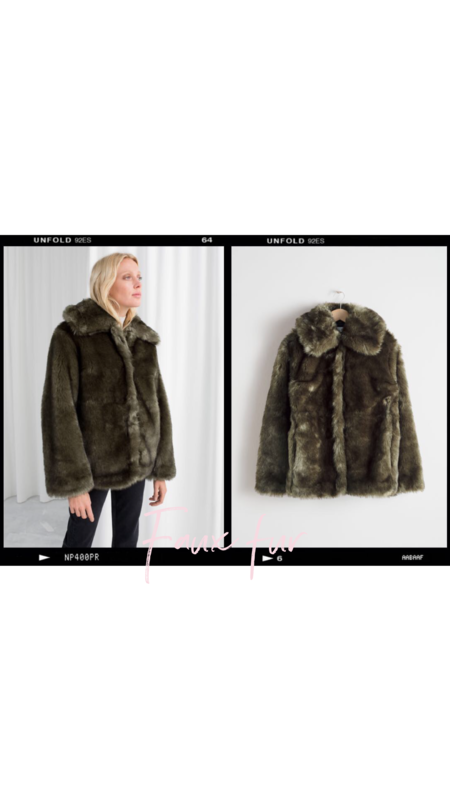 A faux fur coat is such a luxurious piece & no animals are harmed in the proces of creating them. Win-win if you’d ask me. This year I had my eyes on one from Jakke with a snake print — I know the combination sounds awful but looks amazing! — and this & Other Stories green one*. Both winter investment pieces are chic and will make sure you stay warm during the upcoming winter. Wearing the thickest knit you have and a winter coat might help to survive the colder temperatures but having winter accessories is what makes the biggest difference. Having a beanie and scarf make all the difference. I personally love to go for a natural fabric like cashmere. 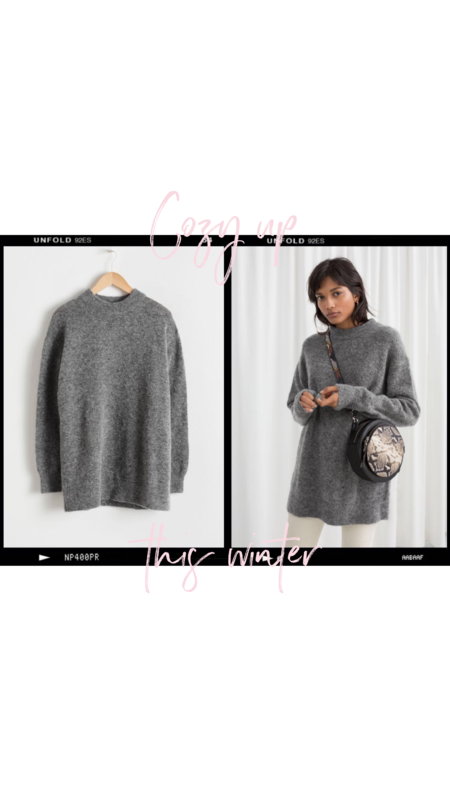 Every winter high street brands have a couple of cashmere options that are actually affordable. 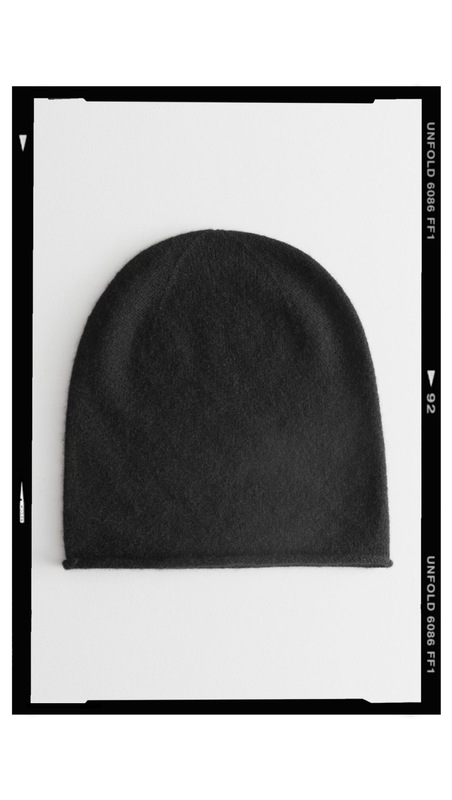 Like this & Other Stories beanie* or this H&M cashmere scarf. 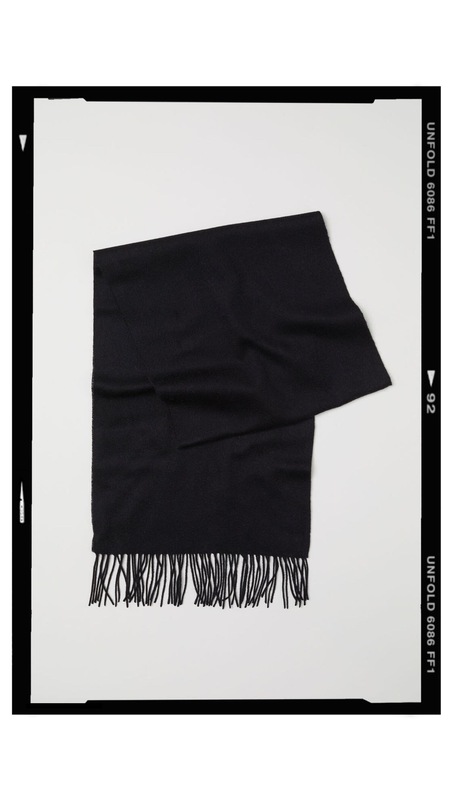 If you want to spend a little more on your winter investment pieces I would highly suggest this lightweight cashmere scarf* and this beanie*. Just a little different than what you would find on the high street. A little black dress is an all year around wardrobe staple. It’s the item you can wear with different accessories to create a whole new look. It’s also great for the upcoming holiday season and office parties. I still love my cocoon dress* I got from & Other Stories that can definitely hide my food baby at Christmas. However, since it’s getting colder, I would love a long sleeve velvet one like this. I often wear dresses with just black tights but why not level up this winter and get one with a print? 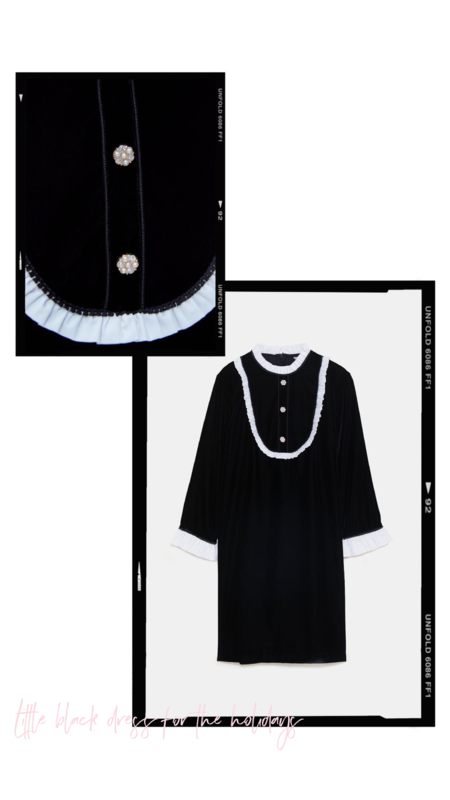 A simple way to give your little black dress a new look or make a bold statement. Go for vintage lace or leopard anyone? I personally love a pair with small polka dots from ASOS* or these from & Other Stories*. Which winter investment pieces are you going to get? All product items are not mine. The designs were created with the app Unfold & Adobe Illustrator by me.